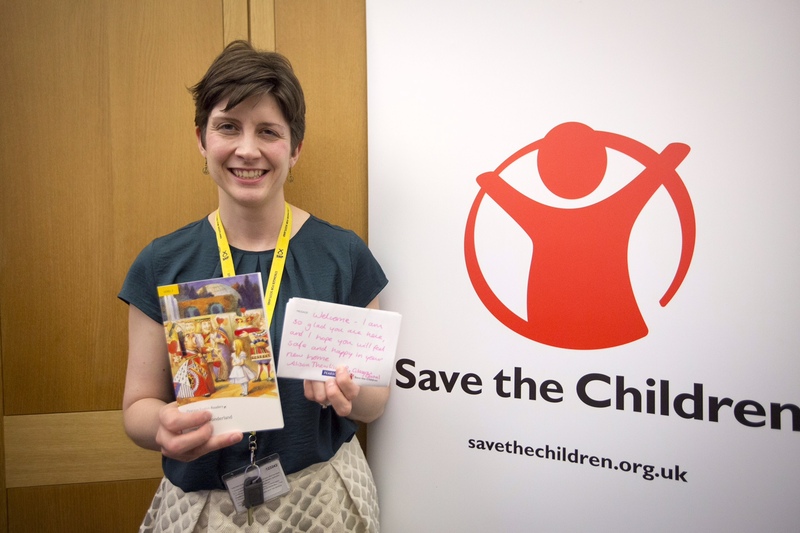 Alison Thewliss MP is urging constituents to write a welcome message for lone child refugees arriving in the UK. Almost 2,000 unaccompanied children have arrived in the UK this year, many of whom have fled wars and persecution. Save the Children’s campaign calls on members of the public to write a welcome message, which will be printed in books being distributed across the UK to help these children learn English. This will help children to integrate in their new communities, and to learn and thrive. Ms Thewliss wrote a message on Tuesday 15th December and is now asking his/her constituents to join the two thousand campaigners that have already taken part. After the traumatic experiences child refugees have been through, it’s vital these vulnerable children feel safe, and get help to build a new life. Save the Children has teamed up with Pearson, the world’s largest education company, to give child refugees arriving in the UK a welcome gift – a special pack of books, appropriate to their age and ability, to help them learn English. 7,000 books are being delivered in the weeks leading up to Christmas. To make these children feel truly welcome, members of the public are being encouraged to write a personal ‘welcome to the UK’ message to be printed into every pack of books.